Happy Monday everyone! I just wanted to give a quick update that I'm in San Francisco for the week, visiting old friends, meeting new, and rediscovering my favorite food establishments. It was great to spend Easter strolling around the entire Berkeley campus in the light sprinkling of rain, leaving Berkeley looking more beautiful than ever. Hope to update again soon, have an amazing week! P.S. Please don't mind my moccasin flats, my feet had already given up on my boots from the previous day's walk all up and down San Francisco's hills. I heart Berkely so much... It's such a magical place. 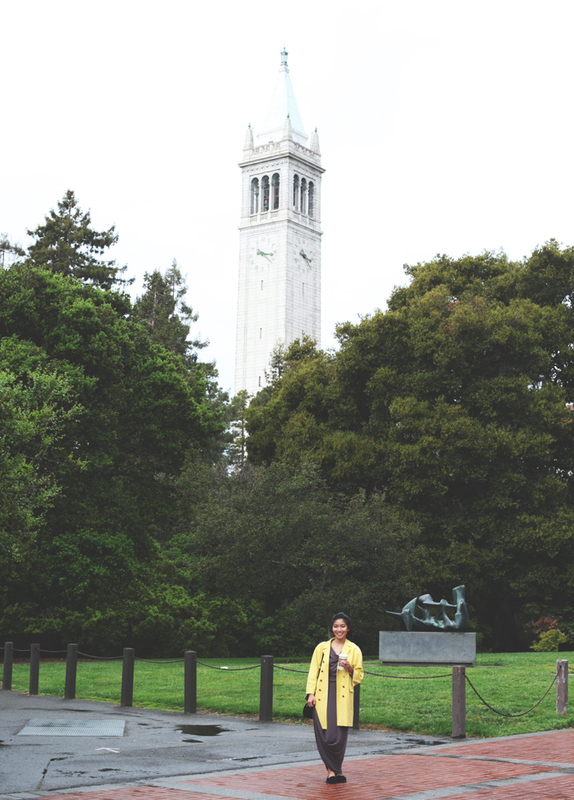 Love that you got the Campanile in the shot! It's a bummer that it was so rainy the past few days.